Failbetter Games founder Alexis Kennedy has officially revealed that he’s working on a questline for an upcoming Dragon Age game. The writer, who is responsible for the Fallen London series and Sunless Sea, is working for BioWare remotely from the UK, penning a bit of lore for something very specific. 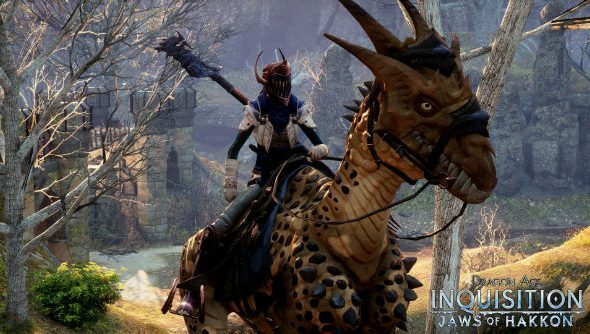 One day a new Dragon Age will appear in our list of upcoming PC games. Kennedy revealed the news in an interview with Eurogamer, where he spoke vaguely about his freelance role. With Kennedy being known for Lovecraftian weirdness, my bet would be on him covering a section of the game where the player visits the Fade – Dragon Age’s demon dimension where normal world rules no longer apply. It fits the bill as a well-segregated section of the game world, too. Again, you spent some time in the fade in Dragon Age games before, but it’s never been a huge focus and we never really dug down to its heart. Kennedy says he’s about halfway through his work and the game will continue being developed once he’s gone, so it’s probably still a way off.